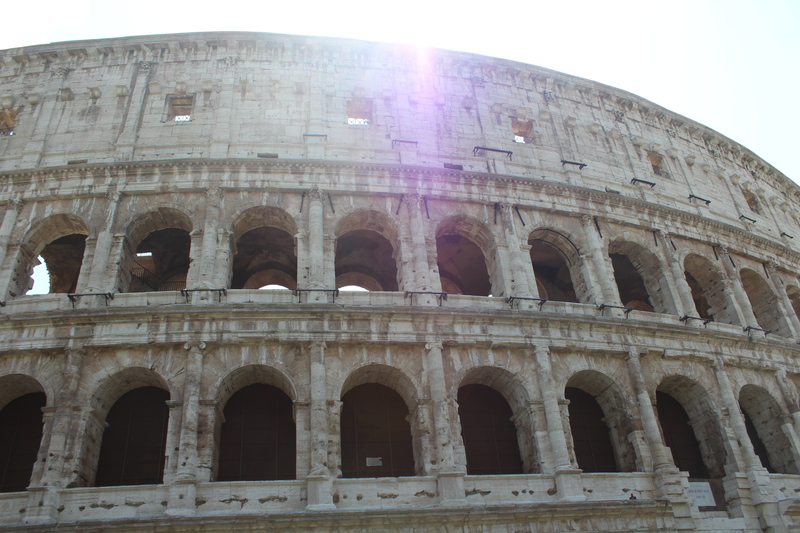 Today we had such an exciting day we went to see the Colosseum and it was humongous we could hardly believe it ! 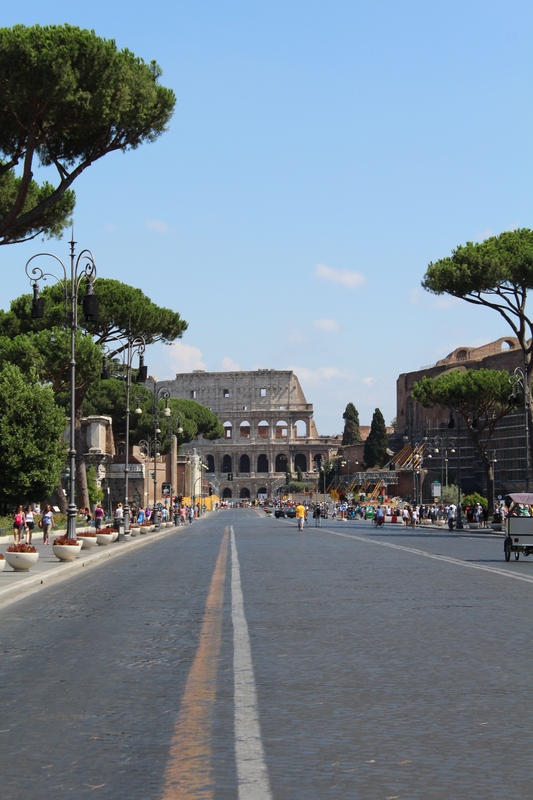 Walking up Via Di San Gregorio we could spy the iconic arena and we were more than impressed. 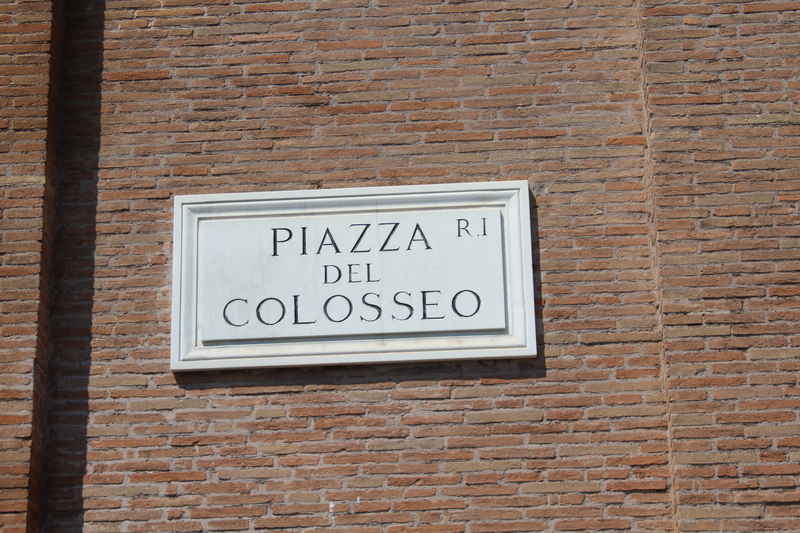 Holding between 50,000 and 80,000 spectators this ancient attraction was used for gladiatorial contests, mock sea battles and animal hunts. As we entered we climbed up on to the upper level and took in this spectacular interior. Whilst here we decided to look inside the relic museum located inside the upper tier. Filled with pots and artwork, we were surprised these wonderful discoveries had stayed in immaculate condition. 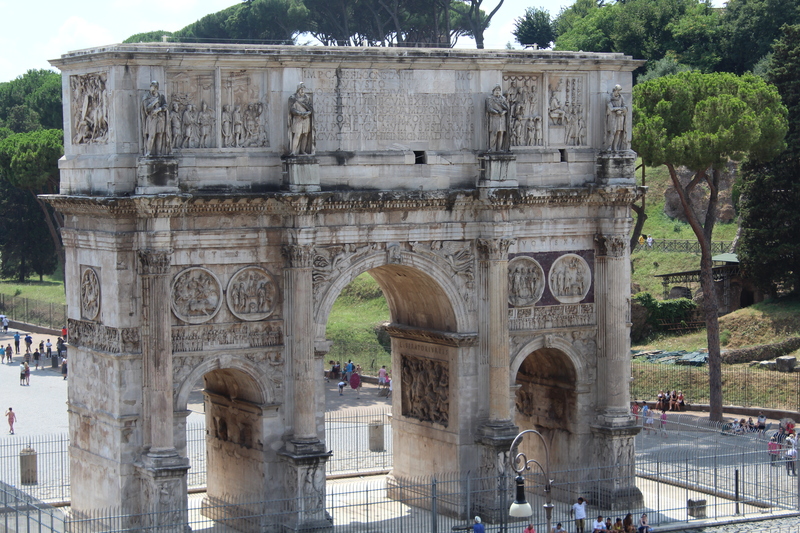 As we left the museum we spotted a balcony that you could stand on and look out into the city having views of The Forum, Palatine Hill and The Arch Of Constantine. 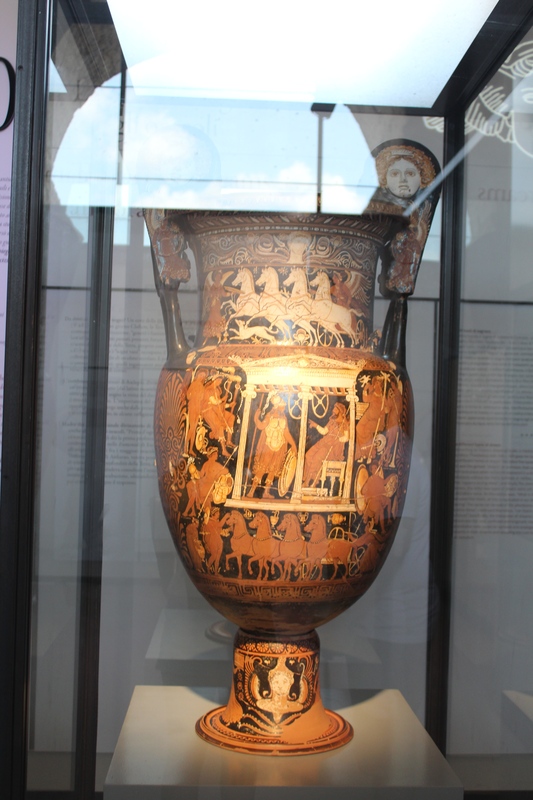 We also discovered a few things about the gladiators whilst we were there, there were many types of gladiators and but the main ones each represented relationships in nature. Those being fishermen and the sea, animals and hunters. Prisoners and slaves were also used as gladiators and could win their freedom and potentially become a gladiator. 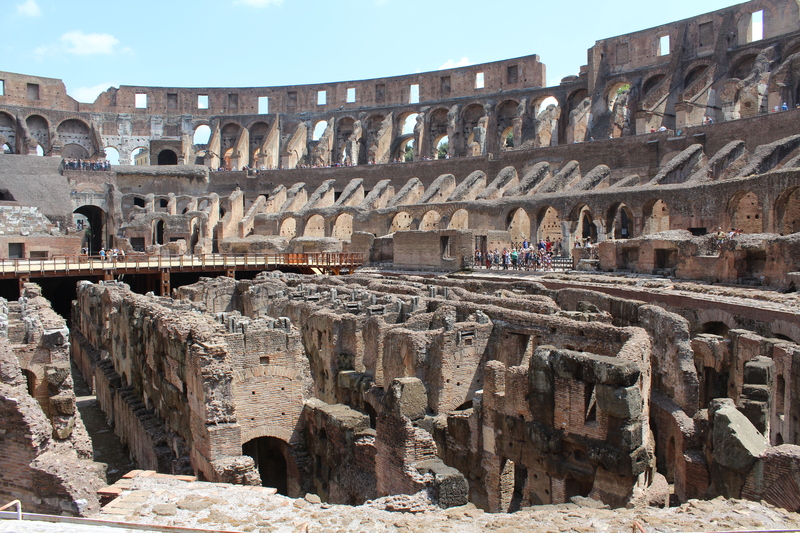 Have you ever wondered why the Colosseum has parts missing from the building? We always assumed they had just eroded or fallen off with the weather, thats partly true as after a serious of earthquakes and a fire collapsed some stone. But this was way after the first initial removal of stone. Yes removal. 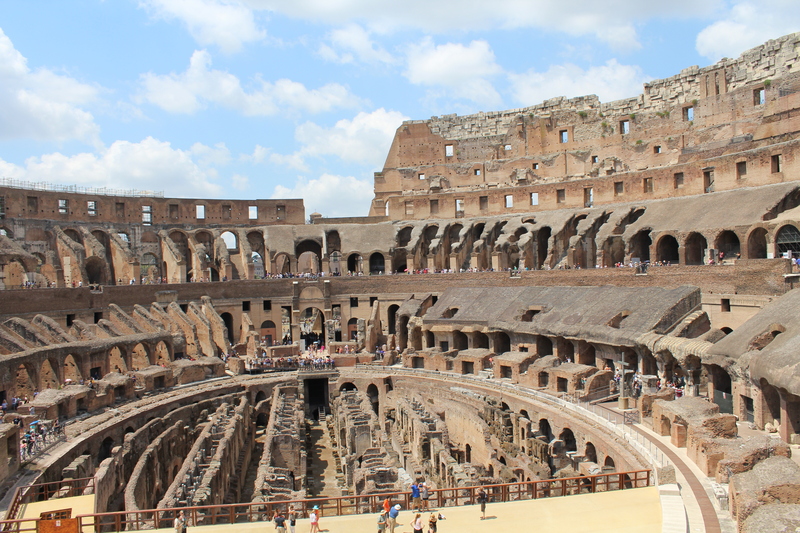 After there was a ban of fights inside the colosseum there was no use for it and parts of the upper tier stone were removed for the use in construction of other buildings. That surprised us very much. ← We Have Grown To An InstaSize !